category of jacketing designed for outdoor use. 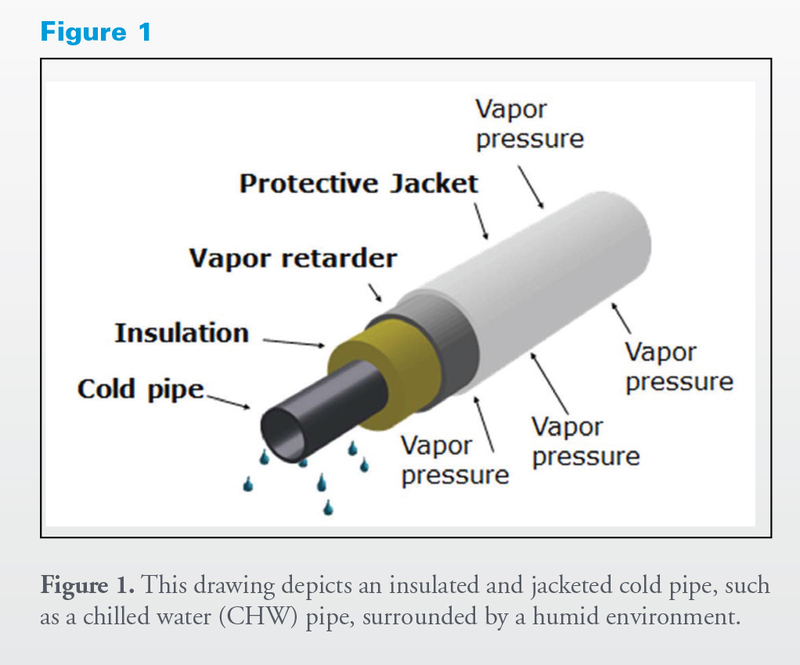 transmission of water vapor under specified conditions. surface. 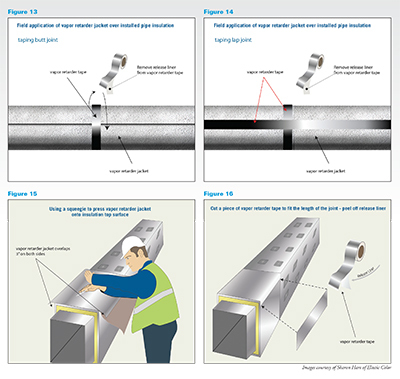 This is depicted in Figure 1.
the environment and the pipe surface. different forms, as shown in the photos in Figures 2 and 3.
to deterioration of the ASJ. photographs of some of these problems. 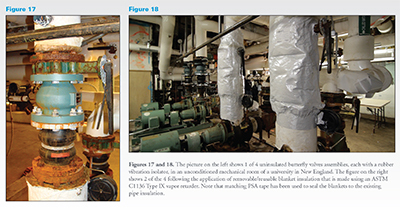 vapor retarder for successful performance. can significantly improve the vapor performance of ASJ in such applications. should soon provide data to clarify some of these performance issues. 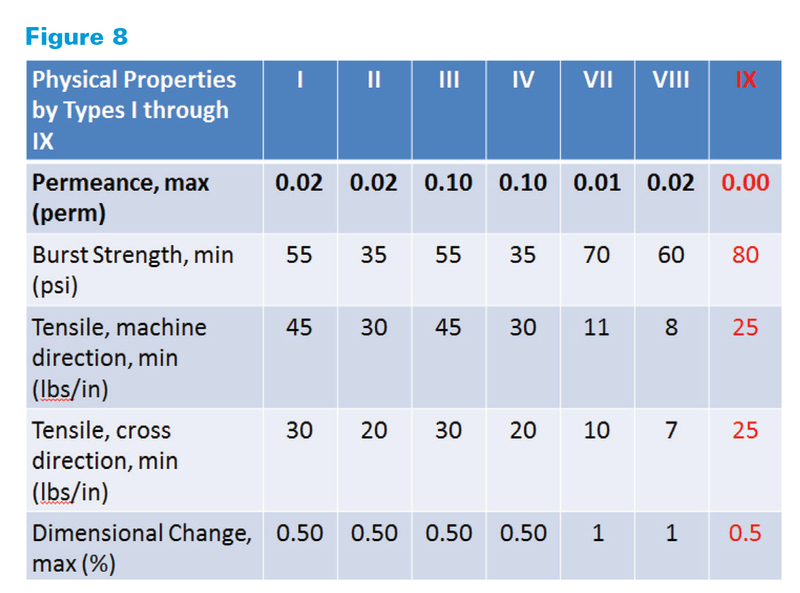 perm (meaning test results by ASTM E96 yield a permeance < 0.005 perm). new Type IX shown in red in the last column. compatible tape with a pressure sensitive adhesive (PSA). corrosion of the metal surfaces. craft laborers in the field and then installed on previously bare components. type of kit made using an ASTM C1136 Type IX vapor retarder. 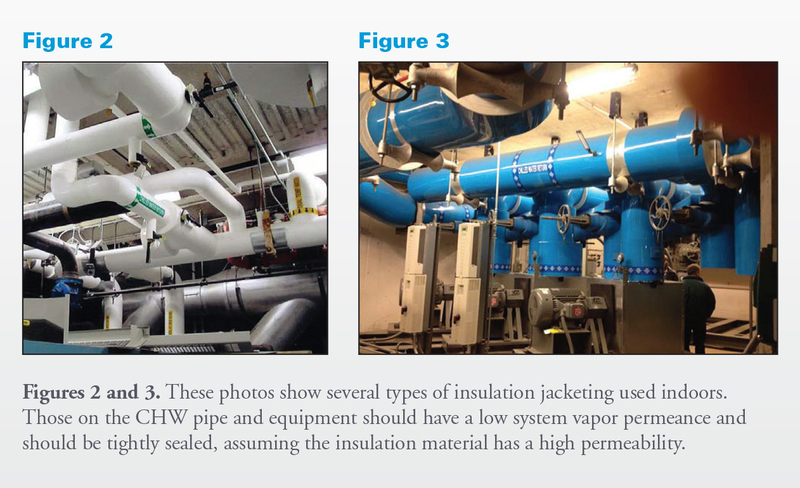 vapor retarders, new options have emerged for jacketing insulation systems.